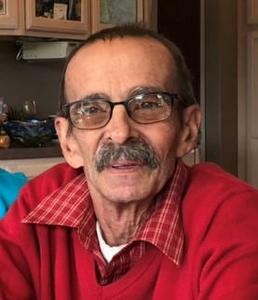 Benny Lee Hall Jr., age 65, of Mancelona (formerly Traverse City), passed away peacefully on November 12th, 2018. He was the son of Benny Hall Sr. and Dollena Burd (Gordon). Benny was born in Traverse City on October 16th, 1953. He graduated from Traverse City Senior High School. Benny enjoyed and lived much of his life around working on vehicles as a mechanic. Spending time with his family and friends, camping on the weekends, fishing and having bonfires on Lake Dubonnet were among the many things he appreciated in life. Benny was also known for his homemade apple pies and fried potatoes. Benny loved having people around and was quick to help them in any way possible. He was known for giving anyone the shirt off his back and never asking for anything in return. One of his guiding principles was “if we got it all done today we wouldn’t have anything to do tomorrow”. Our beautiful memories of him will live on in each of our hearts forever. Benny will forever be missed by his two sons, Chris and Greg (Jammie) Hall; grandchildren, Jazmyne, Skyler, Chantel, Blake, Chloe and Caleb Hall; brother, Mike (Connie) Hall; and his loving mother, Dollena (Dee) Burd. Benny was preceded in death by his father Benny Hall Sr., step-father Jack Burd, and sister Penny Kirt. The family is grateful for the love and compassion shown by Benny’s nieces, Tara (Eric) Steimel and Tracy Kirt, in his final days. Please visit www.lifestorytc.com to sign the guestbook and to share your thoughts and memories with the family.